To give you a glimpse of celebrating US Holidays in a foreign country, here were some of the challenges. In the US, the holiday of Halloween is a big commercial enterprise. Most big-box type stores anywhere have loads of candy near the entrance and a section of the store dedicated to all things for the holiday — costumes, decorations, candy, and supplies to run it all like bags, batteries, and other goodies. What’s candy corn? Didn’t find it. Not even in the candy section. Needed to visit a store that caters to expats with imported items. Want yarn? Find the store where they sell yarn and ribbons. Need sugar cookie mix? Supply issues in one store meant none for that day. Without a car to help us get from store to store, whatever was missing from the store that day didn’t get bought. On top of it, yesterday was payday before a three day holiday weekend so traffic was hosed, as it is today as people are trying to get out of town. Brenda found the yarn in a specialty shop that sells only yarn and ribbon tapes, because it was a block from our house. Since Halloween is a US Holiday, there is no retail madness to have all the baking supplies or candy near the front door or in any kind of simply 1 stop location in a store. The scarf you see pictured — hand made from yard using straws as a loom. Brenda spent hours last night hand making it. What a labor of love. 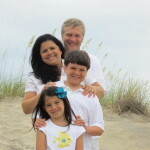 One way to support our ministry is to donate airline miles to help our family visit supporters and family in the US. A family of 4 tickets run between $2400 and $3000. Occasionally, fare specials will run at just $800 for the whole family, but those are short lived buy now type programs that don’t always fit. We would use miles to make family trips to the US, or if needed, any emergency trips for things like funerals or health needs. Our summer road trip last year was funded on miles, but they are not accumulating as fast as they used to . . .
We use Delta through Atlanta and American through Miami almost exclusively. Right now, Delta is running a bonus program for donating miles. You can make your miles donation to us go further with bonus miles. I’ve seen adds on Delta and in their newsletters for 25% 50% and even 100% mileage bonus to both you and us. I’ve seen various percentages. If you would like to help our travel and donate miles, please contact me directly to make arrangements. I don’t want to put our numbers up on this site. . . .
We have returned from our trip to Barquisimeto VZ. It was a great mission in many ways, and a personally refreshing break for us. The travel was perhaps the more exhausting part. Flying from Panama City, Panama, to Bogota Columbia, to Caracas VZ, and then a 6 hour taxi ride to Barquisimeto VZ. Total distance was approximately 1300 miles one way. Normally, we are told the taxi ride is about 3-4 hours, but with Caracas traffic, both coming and going, we were stuck in traffic jams that lasted over an hour, at least 2x in each direction. 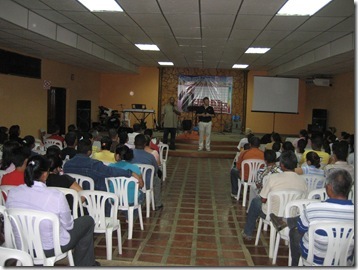 I conducted a workshop at Buenas Nuevas Shekina, a church located in the area of Las Sabila in the north of Barquisimeto. I had visited Shekina before when I was in Barquisimeto before, a few years ago. 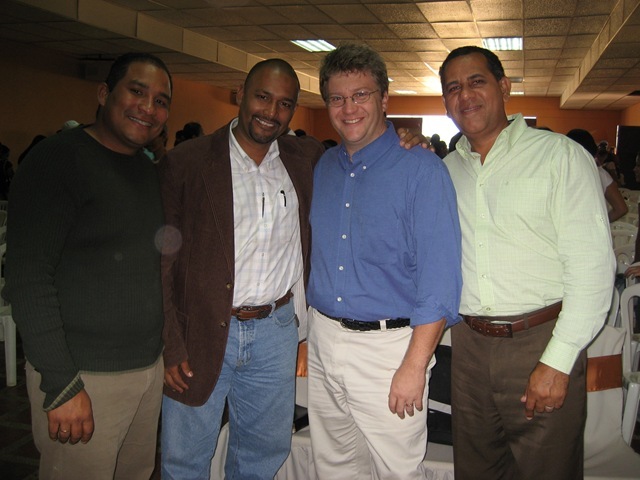 It was a good experience to reconnect with the pastor. The Friday night workshop was focused on our motive for evangelism, based on a workshop I give as Evangelism Coach. About 65 people attended. 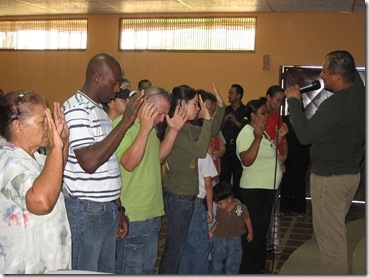 After the time of teaching, we had a time of prayer ministry, praying for those who do not know Christ and praying for a new infilling of the Holy Spirit. 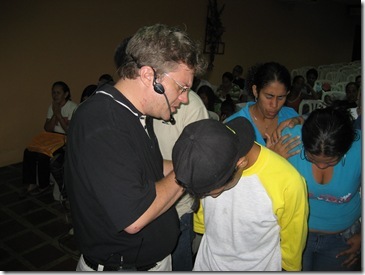 One thing I have started doing in my evangelism workshops in Latin America is giving invitations to start following Jesus. Once again, there were 2 or 3 more people in this workshop who prayed to receive Christ into their life and start following the Lord. Praise God for those new believers. On Sunday, I returned to preach two services at Shekinah Sabila. 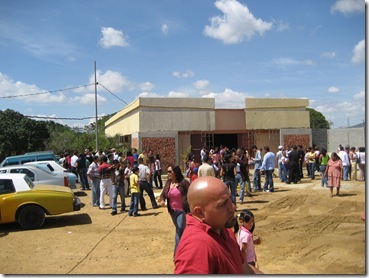 About 600 people attend two morning services. The church is in the middle of a field, and is the process of doubling it’s sanctuary. 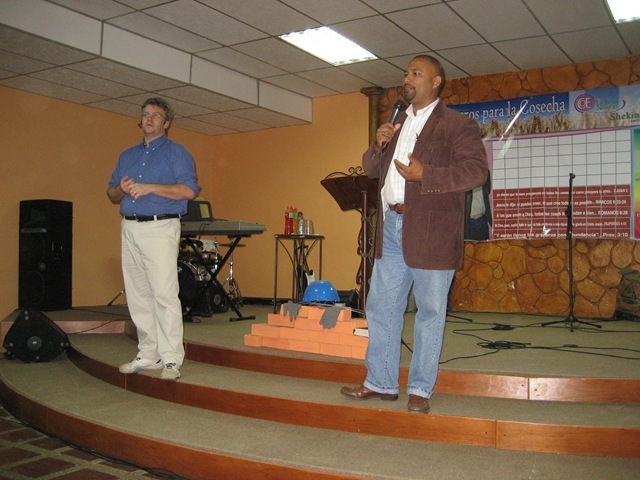 Our missionary friend, Argenis Mena served as my translator. 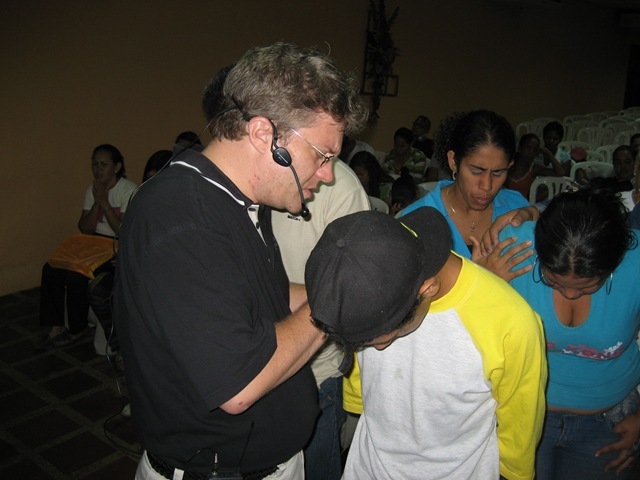 We ministered together for two years in Richmond, and then multiple mission trips to serve him and his family since the year 2000. The message focused on Psalm 51 and the effects of sin and the desire for forgiveness. It was a naturally evangelistic service and in both services, more people responded to the invitation to receive Christ and find that forgiveness of sin. Praise God for the new believers here over the weekend. I get excited when I see people respond to the preaching of the gospel and continue to be humbled that God would use such an imperfect vessel like me. It’s not for our glory, but for God’s glory. Last week, we had an experience that can only demonstrate the confusion of trying to live in a different country. As part of our ministry, I (Chris) needed to be in Tampa FL to teach at a pastors conference. 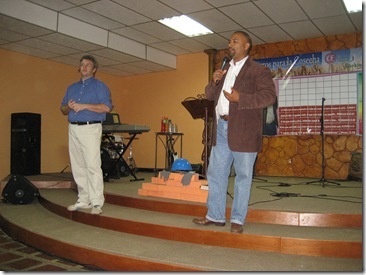 I´d return on Wednesday night in order to leave with the family on Thursday to go to do some mission work in Venezuela. We then were to return from Venezuela as a family on Monday Oct 6. So I am in one country, Brenda and the family are in the other. We receive word that a yellow fever vacine will be mandatory for travellers entering the country of panama, effective October 1. You can´t simply get a vacine and go, you have to have the vacine 10 days before travel, yet we had been given only a 3 day notice. Imagine the stress with all the questions raised: Could we travel, could we get to Venezuela, could we get back from Venezuela? The airlines were busy notifying their customers, but not everyone could be reached. Travellers were potentially stranded whether by air or by sea, or by land. 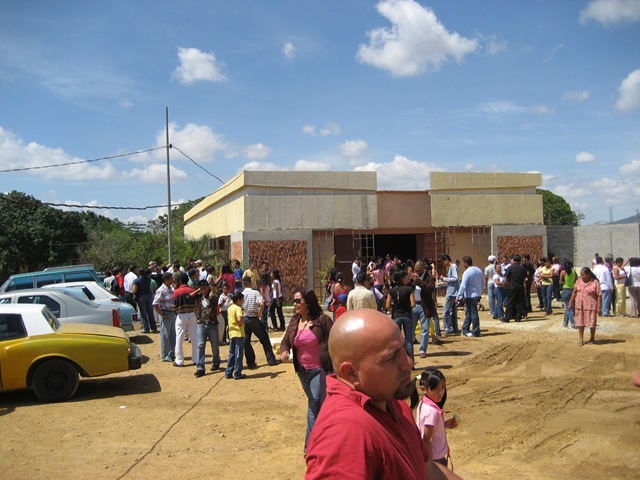 The press reports the new travel requirment and it creates a rush on the vaccine (and the one distribution point). Airlines were threating to not allow people to board if they didn´t have their vaccination card. In tampa, I find someone who will take me to the health department to get my shot, on the hope that I´d be back in time for my 2:00pm pleanary session. I missed attending the morning session as I was getting my shot. $85 later, I had my yellow vaccine card, but under the 10 days. 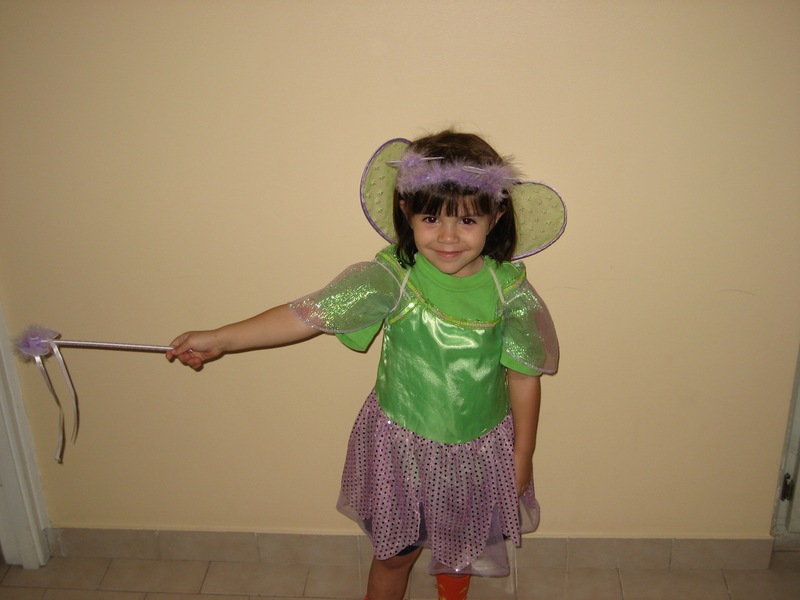 Thankfully, I didn´t have any side effects. 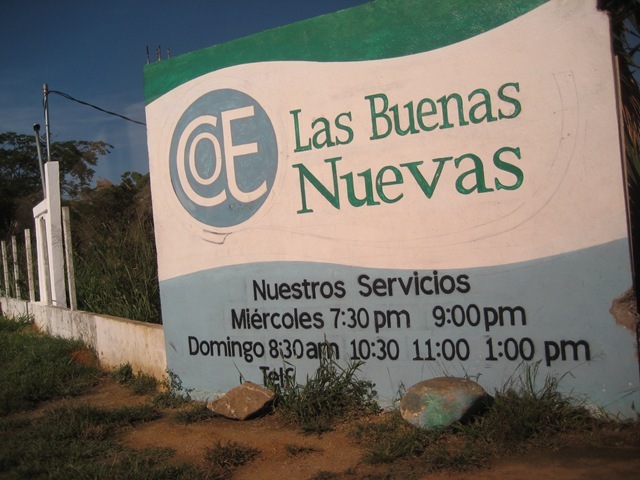 In Panama, Brenda took the kids to the local clinic, the one distribution point for the country. (Not county, the country). With the sudden public awareness that it was required (poor government communication), the poor little office was swamped, overwhelmed, and even ran out of vaccine. The second day, 4 to 5 hours of waiting, they got their shots, but not the card, because they needed a panama ID for my children. Anecdotal evidence from others who have written on blogs mention things like bribes to get priority numbers, 6 people to do the job of one, and in general, all around misery because of the confusion, onslaught of demand, and changing rules. The little office was overwhelmed with an onslaught of people, all concerned, confused, and tense. The third day, Brenda made that trip for the third time to retreive the immunization cards. That is when we discover that their panama passports are not where they are supposed to be. It took them about 15 hours, 3 trips, to complete that process. The exhaustion from inefficient government processes, poor transporation infrastructure, and the stress of not knowing if we´d be able to get out of the country all added up to alot of stress. 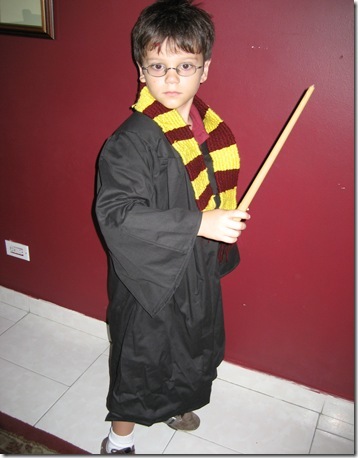 That afternoon, Panama extended a delay in the enforcement until November 1, so we could at least travel. Wednesday night, I get back to Panama. We can´t find our panama passports to leave the country. Our US passports didn´t have entry stamps and thus could have suggested that we were way beyond the 90 day limit as tourists. We looked and looked and looked. Would my family be allowed to leave the country? What would happen at immigration when we couldn´t show the entry stamp in the Panama passport? If we had to pay a fine, would my family be able to re-enter or get banned? These questions in our brains were unsettling to say the least. We went to bed exhausted from the stress and our eyes were no longer focusing we were so tired. Thursday morning, 5 hours prior to departure, we found them in a hidden pouch in a luggage. All we could do was cry. In gratitude. Out of stress. Cathartic. ¨We could relax¨doesn´t carry the full emotional import of what those words mean to us. We made it to the airport, got on the plane, and 14 hours later arrived in our destination. We had arrived. Shot with a fever vaccine, with our appropriate passports, and even with some bolivars in our pocket.